Workers operate a production line at a beer factory in Ho Chi Minh City in this Tuoi Tre file photo. The Ho Chi Minh City taxman has proposed increasing excise tax on alcoholic beverages to limit alcohol consumption among citizens while generating more municipal revenue, but industry insiders say the move could drive investment away from Vietnam’s financial hub. The municipal tax department has not released details of the proposal, but said that the raised tax would be calculated based on absolute numbers of liters of alcoholic beverages produced in the city. 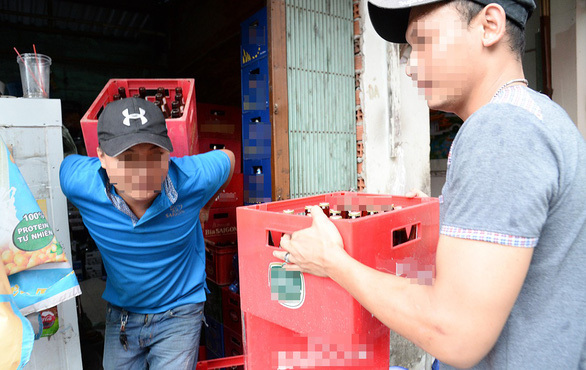 Vietnam produced over 4.1 billion liters of beer in 2018 and collected more than VND43 trillion (US$1.85 billion) in taxes on the alcoholic drink that same year. More than half of the tax revenue came from Ho Chi Minh City, which collected over VND23 trillion ($992 million) in taxes on beer last year. The tax raise, therefore, is expected by officials to bring great improvement to the city’s revenue apart from its main purpose of bringing down alcohol consumption in the city. Currently, Vietnam imposes excises taxes of 65 percent on beer and 35-65 percent on alcohol depending on their concentration. Ho Chi Minh City, as the country’s financial hub, enjoys a privilege that allows it to propose increased taxes on certain products, including alcoholic beverages, after seeking permission from a parliamentary committee. The raise must not exceed 25 percent of current taxes on the same products imposed nation-wide. “City leaders hope to receive support from citizens [on this proposal] to achieve the ultimate goal of developing Ho Chi Minh City into a city of civility, modernity, safety, and compassion,” Le Vinh Tuyen, deputy chairman of the municipal administration, told Tuoi Tre (Youth) newspaper on Friday. However, many business leaders have advised authorities to reconsider this move as it could backfire financially by driving investment and production away from the city to neighboring provinces where the tax is lower. “Without lucrative policies to retain investors, they could even relocate production to a foreign country such as Laos and Cambodia and re-importing products into Vietnam for sale,” said Nguyen Van Viet, president of the Vietnam Beverages Association. 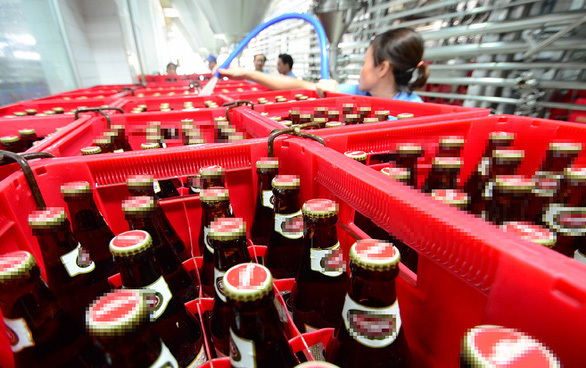 Sabeco, one of Vietnam’s leading brewer, already has a network of beer factories and subsidiaries in neighboring provinces and could move their entire production out of Ho Chi Minh City if it proves more economically beneficial, said Truong Thanh Duc, director of Basico law firm. The proposal’s goal of driving down consumption could also fall short as the average wage in Ho Chi Minh City is higher than other Vietnamese localities, which makes affording more expensive beer and alcohol not a big challenge for residents, said Nguyen Thi Cuc, president of the Vietnam Tax Consultants’ Association. The raised tax must go hand in hand with other measures such as banning sale of alcoholic beverages to adolescents or setting up curfews for sale of alcohol and beer, she said. In addition, city leaders must make clear who is the subject of the raised excise tax as well as the main purpose of the raise, as they are important factors to determine how the tax will be implemented in reality, said Mikio Masawaki, general director of Japanese brewer Sapporo.